We pride ourselves on providing an honest and reliable service, all delivered promptly wherever it is needed. We service all light vehicles including cars,vans and 4WD's. After reading some excelent reviews decided to call Simon for a safety check and service for my Toyota FJ Cruiser. Extremely happy with the level of service provided. Simon strikes me as very honest and reliable. Quote was very competitive and no nasty surprises in the end. Would definitely recommend and will be calling him again when my beloved FJ is due for service. 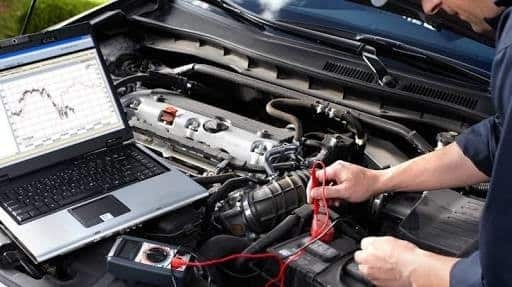 My elderly Mum had a mishap with her car in the garage and the car could not be driven to a garage, therefore a mobile mechanic was required and with one phone call, Simon came to her rescue that very day. What fantastic service! Parts were acquired and Mum was back on the road in no time. Even when I discovered a sticky-outy-bit under the car some days later, Simon returned and saved the day without further cost. What a guy! Simon even offered to submit Mum's rego, pink slip and green slip for her online - Mum being a technology tragic. Now that's just absolutely brilliant isn't it? If you don't use Simon, you're not right in the head. Most honest mechanic we've ever met. Hard working, Does the job right. Reasonably priced. There as soon as he can get there when you're having major car troubles. Also full of handy hints on how to save money with your car. A rare quality in mechanics :) Smart guy - knows his stuff - highly recommend. Absolute life saver!! Cannot reccomend this guy enough. I had been to several mechanics, who all gave me different answers over the last few years. The gent from Pro Tune explained it all on lamens terms and worked around my hours, came to me and ontop of that was very price competetive. Pleasure to deal with & reliable - which was quite refreshing. Gold star mate! Keep it up!